16 LISTS Legends & SuperstitionsLists about the crazy little things we believe anyway. Friday the 13th is not just a movie about a guy in a hockey mask with demonic rage issues . It is a real fear for some people. Common superstitions (and their origins) might not be based in reality, but when people believe in something so powerfully it doesn't seem to matter. Whether it is avoiding walking under ladders or crossing paths with black cats to blessing someone when they sneeze, some of these superstitions are so much a part of our lives we don't even know why we do it. While some of these superstition origins come from religious thoughts, some come from a practical place. Afterall, it's probably a good idea not to open an umbrella in cramped spaces, whether it's bad luck or not. What are the origins of the most common superstitions? 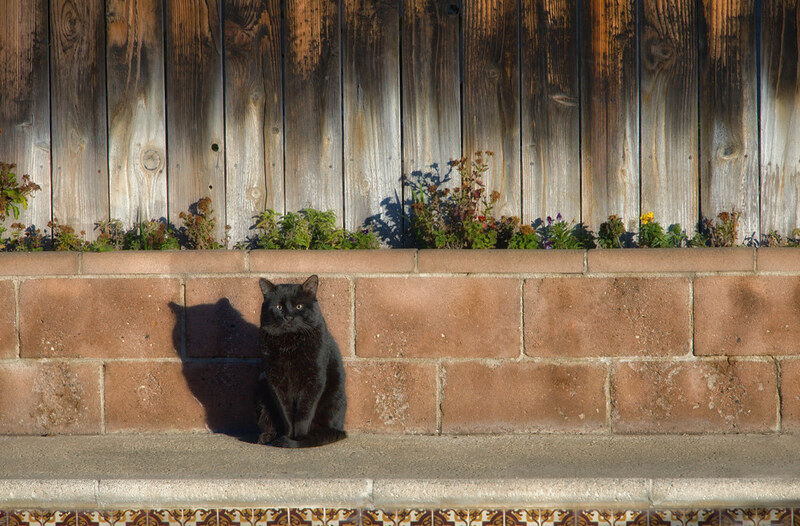 This list has the top 13 common superstitions and their origins. If you were wondering how these common superstitions grew to be well known, and practiced, this list has the answers. Though cats have been adored for ages by many ancient peoples including the Egyptians, Sumerians, and Aunt Mildred, having a black cat cross your path is supposed to come with horrible consequences. The thinking behind this started during the witch hunts. Witches were thought to be able to communicate with certain animals and make them do their bidding. The cat was the chief among those "familiars." A black cat was thought to be the worst as it was said to contain the soul of Satan himself. Therefore, seeing a black cat meant that the devil was watching you. While some of these superstitions could be considered a little crazy, some are actually quite practical. Really, one should never open an umbrella indoors. Not because of bad luck, but because it could seriously hurt someone. There is a thought that this is actually where the superstition came from. The introduction of the mechanical umbrella happened in the Victorian Era in England. The first versions of it were made with stiff steel poles that, when opened indoors, could cause major injuries like cuts and possible eye loss. While that might be the case, the superstition goes all the way back to the ancient Egyptians who also had umbrellas, though back then they were parasols, made for blocking the sun instead of the rain. If you were to open one indoors, where there was no sun, it was considered an offense against the sun god, Ra, who would curse you for it. While we all know that broken mirrors are a pain to clean up, it's the threat of the seven years of bad luck that keeps most of us from carelessly knocking them over. Some people believe the reason breaking a mirror causes all those years of bad luck comes from an age when mirrors were considered luxury items and the cost of replacing a broken one would be equal to seven years of a peasant's salary. The superstition actually extends back quite a bit further back to the Romans. In Roman times there was a special form of doctor who was part physician and part mystic. They would use mirrors to divine the health of their patients (kind of like an ancient x-ray). The doctor would fill a mirrored plate and glass with water and look at the reflection of the patient. If for some reason the reflection looked distorted the patient would be deemed ill. If, however, the mirror were to crack during the procedure, it would mean that they would be very sick for seven years, the time the Romans believed it took for the human body to be completely renewed. There are so many different things to do with hats indoors, from removing them as a sign of respect, to where to place them. It is a common thought that if a person places their hat on the bed, something horrible will happen to them. This comes from the fact that the bed looks like a coffin and when a person or solider died, their clothes and armor were placed on the lid as a sign of respect. Another thought is that a priest will always wear their hat indoors except for when they have to change into their vestments to perform final rites on the dead. Either way, it's just good manners to place your hat anywhere but the bed.